No wonder they call it the Neo Hybrid EX. It is The One of bumper cases. We have yet to come across a case made by Spigen SGP that did not meet our expectations. The Korean case manufacturer needs no introduction, and it has nothing to do with Psy. 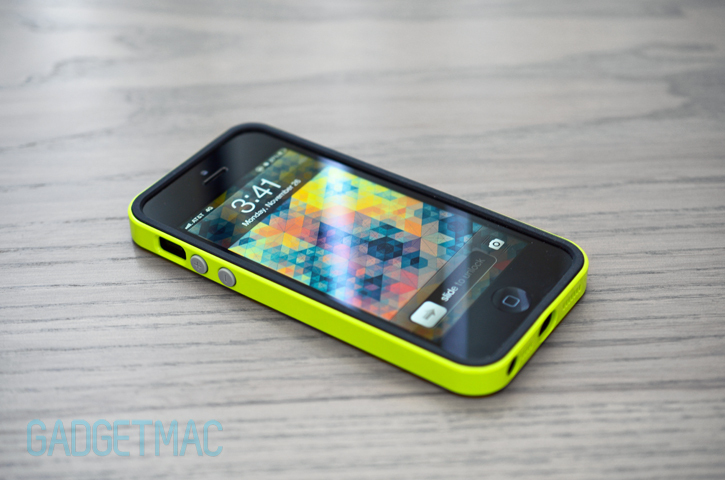 The Neo Hybrid EX for the iPhone 5 is one of Spigen's elite bumper cases designed with protection and lots of svelte style in mind. Clearly by people who love using their iPhones on a day to day basis. And it just so happens that we too, indulge in the art of iPhone using at Gadgetmac. SO what have we got to say about Spigen's new Neo Hybrid EX bumper? You'll just have to read on to find out. Siriously, you don't want to miss out on our take on this bumper. You're looking at a bumper that puts all others to shame. This might sound cliche, but the Koreans really have a growing number of awesome stuff we really dig. 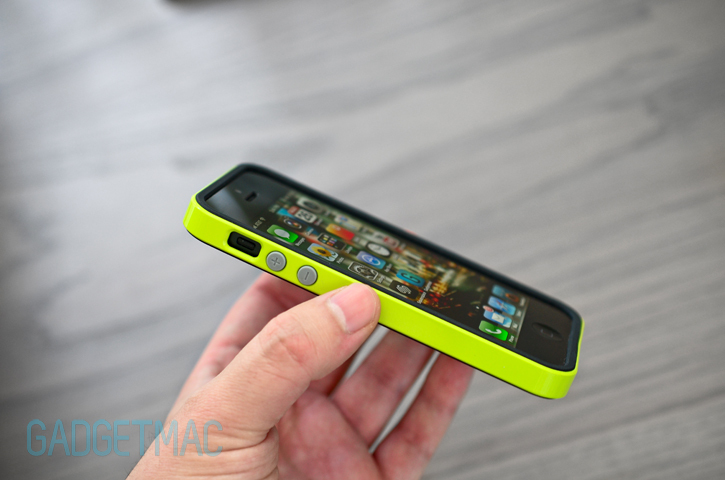 Spigen's Neo Hyrbid EX is so good in fact, that we think it's an even better bumper than Apple's own. With the iPhone 5 all around the globe, in the hands of thankful consumers, people turn to bumper style cases now more than ever. Spigen's Neo Hybrid EX bumper is designed for the form and function conscious individuals who prefer to enjoy the slim, magnificent design and construction of the iPhone 5 without completely burying it inside a protective case. As with every Spigen protective case, the Neo Hybrid EX has a bunch of series to its name. And in each respected series you'll find a swatch of different colors and special type of finishes. Much of like when you custom order a car. CreTouch was kind enough to let us take a look at Spigen's latest Neo Hybrid EX Metal series in the slate color as well as the Neo Hybrid EX Snow series in the lime green color. The difference between the two series might seem confusing at first. The Snow series feature a white interior layer with a glossy outer band. In comparison, the new Metal series has a matte finish outer band with a blade interior layer and is more focused on mimicking the look of the aluminum finish on the iPhone 5 without actually being made out of actual metal. None of the Neo Hybrid EX bumpers actually have a soft-touch matte coating though, albeit such a version would greatly be appreciated by those who prefer insane amounts of grip. It's worth noting that the white silicone that comes with the Snow series bumpers has a polymer coated on it that's less gripper than the black to most likely reduce dirt stains. 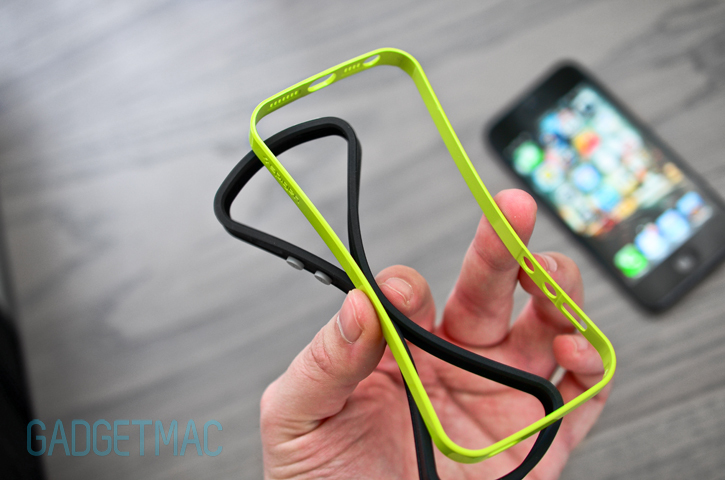 The Neo Hybrid EX is a slim bumper case that combines the best of both worlds and then some. It has a hybrid constructed style designed with two types of layers that work together in perfect harmony to protect your iPhone 5 from impacts, bumps, knocks and of course scratches. The first layer is made out of very flexible and shock absorbing silicone coated with a polymer finish so it isn't tacky. The second is a slightly less flexible yet very thin hard polycarbonate band treated with a UV coating that overlaps the silicone and stiffens up the whole setup. 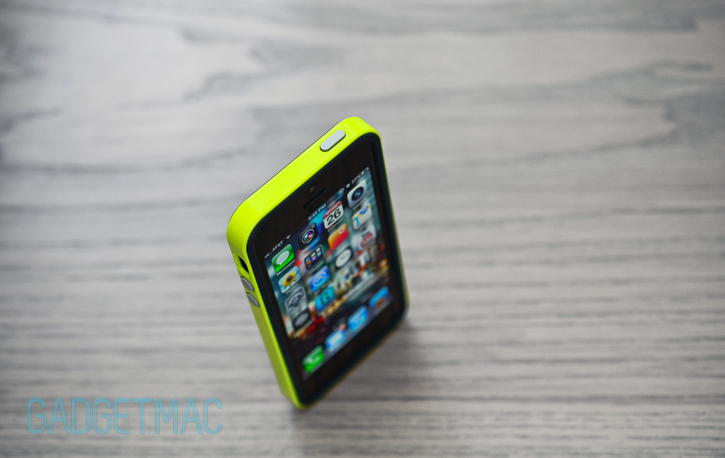 The two materials and slim form factor let you easily slide your iPhone 5 into a tight pocket. Installation is like a walk in the park. 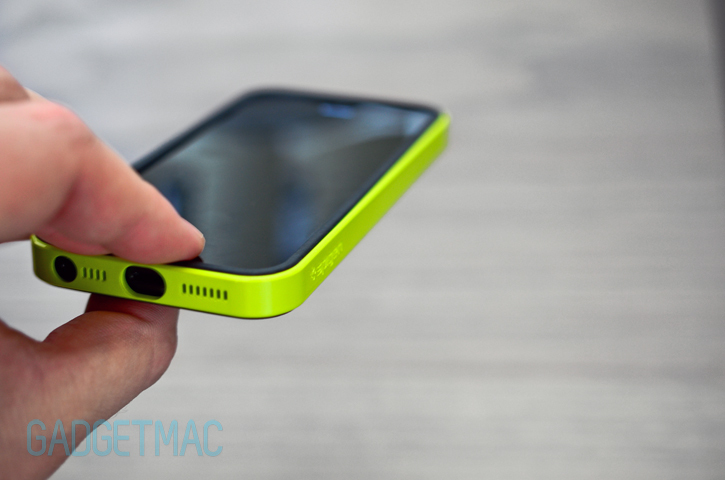 The first layer is the easiest to wrap around the iPhone 5's perimeter while the hard polycarbonate portion needs to be aligned with the raised integrated buttons that come with the silicone layer. Thanks for the flexible nature of the thin outer polycarbonate band, it's an easy matter of top to bottom pulling and you're all set. The fit is nice and snug once you've situated the two layers together making sure the buttons are properly in position and the hard plastic is seated in the silicone grooves on either side. The Neo Hyrbid EX Vivid and Snow edition features a glossy finished polycarbonate band that's vibrant with color and looks super slick. Depending on the series of Neo Hybrid EX that is. And you might be thinking to yourself, where does the grip come from then? It's all that refined design they call the Neo Hybrid EX. Spigen's brilliant thinking utilized the interior silicone layer in such a way that it actually overlaps the polycarbonate outer frame to not only provide you with the necessary grip and anti-slipperiness, but the dual side overlapping design of the silicone band creates what we call a lip/rim edge that sinks in the iPhone so it floats in the middle without contacting the surface you lay it on. The design is a winning combination of protection, comfort and style. Here's a look at the Neo Hybrid EX Metal series and all of its metal-looking metallic finish that's grainy in appearance with a slightly more matte finish to it in comparison to the lime green Snow series. Spigen's Neo Hybrid EX is the most refined, most carefully designed and thoroughly thought thru bumper case I've ever had the pleasure of using. It's absolutely brilliant. And I know I'm only talking about a mixture of plastics here, but I've never been so satisfied with a bumper case than I am now. Little things like extremely tactile volume and sleep/wake buttons make using your iPhone 5 whilst it's surrounded by a bumper a pleasure to use on a daily basis. And if you take a look underneath, you'll find a clean grille speaker and mic ports. The only issue I can see here is that the headphone jack port is tight and will only fit slim 3.5mm plugs while the Lightning port cutout is designed to only be accessible to Apple Lightning connectors and similar 3rd party ones that have the same tiny size. It doesn't end with a near perfect bumper, the Neo Hybrid EX includes a care package of accessories. 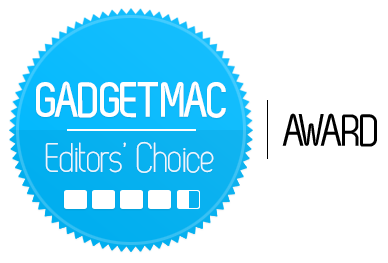 You'll find a quality Steinheil Ultra Crystal screen protector, a set of Steinheil Ultra Crystal full back film protection to cover the exposed iPhone 5 back and everyone's favorite three colored jelly bean home button stickers. It cannot get any better than this. Count on Spigen's film protection to be one of the best "freebies" to be included with a case. The included back protection set is comprised out of three individual film pieces to best blend in with the iPhone 5's two-tone design. The middle part of the film is matte so it doesn't shine and almost blends over the aluminum perfectly if it wasn't for the raised print. As for the two glass top and bottom pieces of the film, these are crystal clear and cut precisely to fit around the camera and LED flash. Installation was as simple as putting the Neo Hybrid EX over the iPhone 5. If you dig this exotic looking lime green and black color scheme I've got going on, unfortunately it isn't an available color option. You'll need to mix and match two different colors yourself to achieve this elite status. Or you could wait and see if Spigen decides to make separate parts available for purchase. Or…pick from the wide assortment of different colors already available. Spigen should really consider making this white and black Metal series Neo Hybrid EX bumper. Classic Panda style. After having spent time with and reviewing multiple aluminum bumper cases as of late, I'm beginning to appreciate the simple daily driver-esque bumpers much more. Although they don't have as much frills, plastic bumpers cannot be beat when it comes to feel good protection and practicality. The Neo Hybrid EX series is an incredible bumper that's both visually pleasing to look at and performs incredibly well. It's sure to exceed your expectations. We'd love to see Spigen release a Neo Hybrid of sort for the iPad mini next, that's how great it is. The $32 Neo Hybrid EX bumper offers a pleasing fit and finish, decent amount of protection, all while keeping the bulk down to a minimum. With the included set of Spigen's tried and true Steinheil Ultra Crystal back and front film protection and funtastic jelly bean home buttons, the Neo Hybrid EX offers a package that's worth paying for.